When walking through the small town of Bad Oldesloe in Northern Germany, the small golden cats sitting in numerous windows of various shops are easily overlooked. They come in various shapes and designs, sometimes protected by a plastic hood, but always with a slight touch of cheapness attached to them. When the sun is at its zenith, their solar powered paws beckon monotonous at the passers-by. Depending on their age and quality of the paint used during the manufacturing process, their colours have changed over time. 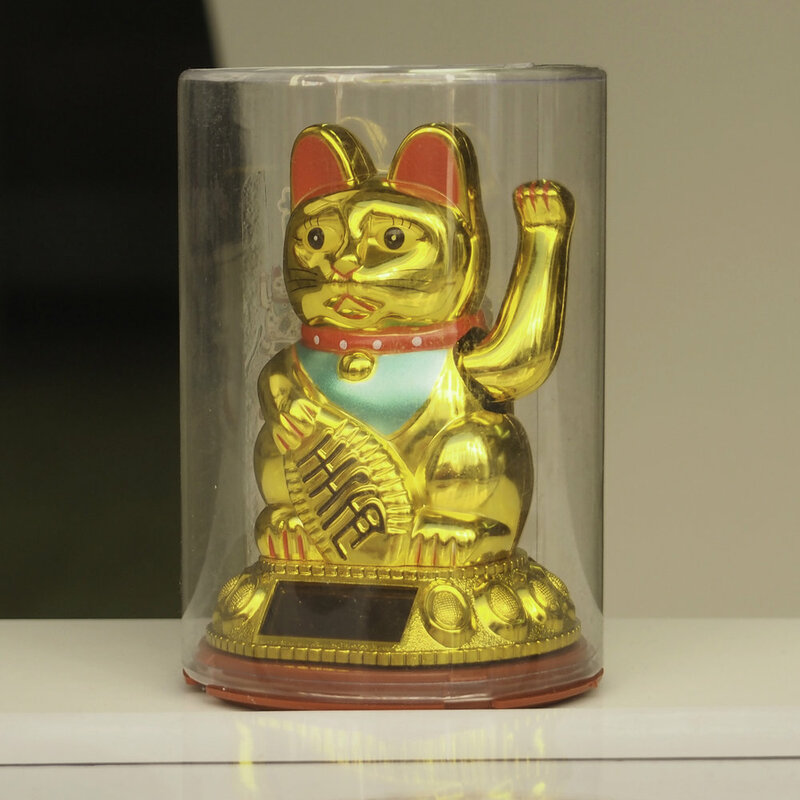 Originating from Japanese culture, the so-called „Maneki-neko“ (literally „beckoning cat“) represent a symbol of luck. Wrongly, the figurines are often known by the name of „Chinese lucky cat“ due to their popularity with Asian businessmen from all over the world. Therefore, they are commonly associated with Asian kitsch in general. Nonetheless, their placement in many shops in Bad Oldesloe are a sign of acceptance and integration of perceived traditional expatriate cultural elements into the daily life of the local population, although the cliché golden cats leave the question open whether the perceived harmony might only be on a superficial level or not. The pictures were taken with an Olympus OM-D E-M5 and processed in RawTherapee.